Home Sports Who Are The 10 Highest Paid NFL Players In The World Today? The highest paid NFL players ever are Peyton Manning, Eli Manning, Drew Brees, Tom Brady, Aaron Rodgers, and Philip Rivers, all of whom have made over $200 million in their career. This is highly significant considering that the 10 highest paid NFL players today are going to earn $424 million between the 2018-2019 season in salary, bonuses, endorsements, as well as licensing. Obviously, this is only what some of the best in some of the biggest teams in the league get to take home for all their efforts. Three years down the line from 2013, Aaron Rogers was the highest paid NFL player before he moved down to as far as 11th and then into the 2018 season, he was back to the top spot thanks to the $33.5 million average salary which took him above Matt Ryan. In addition to his bonuses, the two time MVP will take home a massive $66.9 million. Away from the field, the Green Bay Packers man is also raking in millions from his endorsement deals with partners that include State Farm which offered him one of the best endorsements in NFL, Adidas, IZOD, Prevea Healthcare, and Bergstrom Automotive. Before Matt Ryan, no player in the history of the NFL has ever made up to 30 million in a year. 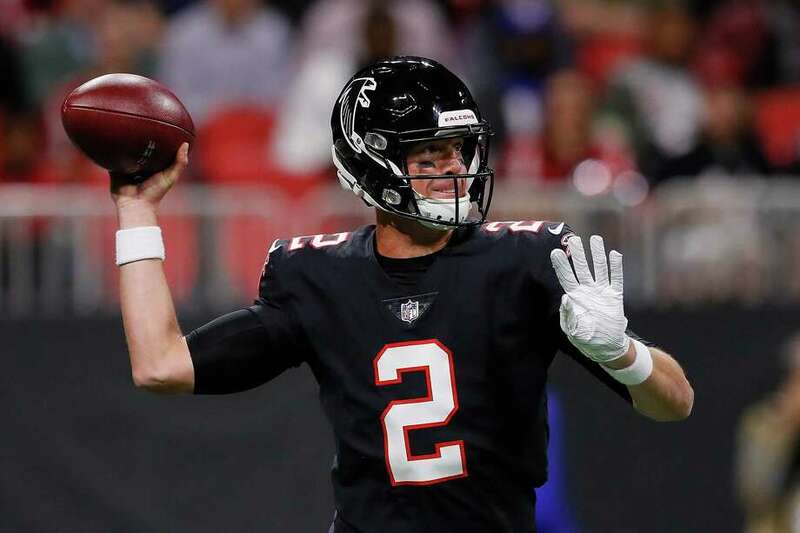 The 2016 NFL Most Valuable Player was offered the $30 million deal by the Falcons to see him not only go above Rogers but also lock him with the team until 2023. More so, he has a very juicy bonus package. The QB also has a good number of endorsement deals which have also added to his earnings. He has deals with brands such as Delta Airlines, Mercedes Benz, Banana Republic, Nike, IBM, and Gatorade which have been valued at 5 million per year. A two time Super Bowl champion, Garoppolo has served as Tom Brady’s backup while playing for the Patriots. In the three years plus that he played with Brady, the quarterback made five starts which were enough to make him one of the highest paid NFL players after he was traded to the San Francisco 49ers. In 2018, he was offered a 5-year deal by the 49ers that was worth $137.5 million, making it the highest contract in the history of the league on an annual basis. With more than $90 million to be paid in his first three years, there is no reason why he shouldn’t be among the highest paid NFL Players. Thanks to his endorsement deal with Nike ahead of the 2019 season, his earnings have even gone higher. Since making the 2014 NFL draft, Khalil Mack has made 4 Pro Bowls, three first-team All-Pro, and he was named the NFL Defensive Player of the Year in 2016. After playing for the Oakland Raiders since he joined the League, the outside linebacker was traded to the Chicago Bears following his holdout through the entire preseason. Not too long after the trading, he signed a deal with the Bears that was worth $141 million for six years. Receiving a guarantee of $90 million, he became the highest-paid defender in the history of the National Football League. Looking at his endorsement profile which is expected to pull as much as $750,000 for him, he has deals with Nike, Mac Trucks, New Era, and Panini. In the first round of the NFL Draft in 2014, Aaron Donald became the 13th overall pick for the Los Angeles Rams which he still plays for. By 2018, he had already made five Pro Bowl, four First-team All-Pro, and was named the NFL Defensive Rookie of the Year in 2014 and the AP NFL Defensive Player of the Year in 2017, making him a very consistent player. That said, at the start of the 2018 season, he was offered a $135 million contract extension that would keep him in the team for the next six years which means he would stay with the team through 2026. The contract which had $87 million guaranteed, saw him become the highest paid defensive player in the history of the league but that would only last for 24 hours before he was ousted by Khalil Mack after he signed his $141 million deal with the Bears. In addition to this, he has endorsement deals with brands such as Pepsi, Boone Enterprises, Karma Automotive, and Panini worth quarter a million dollars. Washington Redskins’ quarterback, Alex Smith is also on the list. Since making the NFL draft in 2005, Smith has played for San Francisco 49ers until 2012 when he moved to the Kansas City Chiefs with which he made 3 Pro Bowls and was named NFL passer rating leader in 2017. Five years after his move to the Kansas City Chiefs, Alex Smith moved to Washington Redskins after he was traded for Kendall Fuller as well as a third-round pick in the 2018 NFL draft. Shortly after the move, Smith was offered a contract extension of four years that is worth $94 million. Off the field of play, Smith who holds the NFL record for the most passes thrown in a season without throwing an interception; a feat he achieved in 2017, also has some endorsement deals valued at a million dollars annually. He has deals with AdvoCare and Nike. Brees made the 2001 NFL Draft after he was selected by the San Diego Chargers in the second round as the 31st overall pick. He played for the team until 2005 when he joined the New Orleans Saints with which he continues to play. A Super Bowl Champion and a Super Bowl MVP, he has made the First-team All-Pro in 2006 and has a number of NFL records including the highest single-season completion percentage and the most career passing yards. In 2018, Brees became one of the highest paid NFL players when he signed a contract extension worth $50 million. To keep him with the team for the next two years, it came with $27 million guaranteed. When it comes to endorsement deals, Brees has a good number of them which have helped him to make as much as $13 million annually. He has deals with brands such as Microsoft, Verizon, Procter & Gamble, PepsiCo, Nike, and Wrangler. 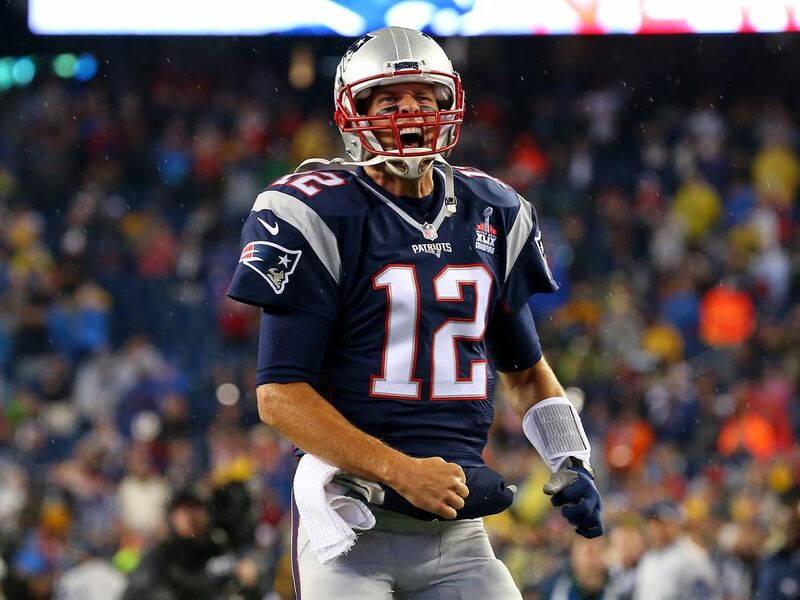 One of the greatest in the sport, Tom Brady is also one of the highest paid NFL players in the world. Since making the NFL Draft in 2000, Brady has come to achieve a lot in the league with the most appearances in Super Bowl (eight) as well as becoming the oldest QB to lead the league in passing yards at the age of 40. A five-time Super Bowl Champion who also became Super Bowl MVP 4 times and NFL Most Valuable Player 3 times, Brady also made 14 Pro Bowls and was NFL Offensive Player of the Year in 2007 and 2010. The Quarterback was offered a contract of two years extension into the 2018 and 2019 seasons by the Patriots. Thanks to this, he got a team-high $15 million, as well as other incentives. Beyond just that, Tom Brady also has endorsement deals that have brought in millions to him. In 2014, he made $7 million from endorsements which have risen to $14 million by 2018 annually. He has deals with big brands such as the Molecule after he moved from his deal with Simmons. The deal ensures that the NFL MVP has an equity stake in the start-up company. He also has deals with companies such as Under Armour and UGG Boots. No doubt one of the best catchers around, Odell Beckham Jr. entered the NFL Draft of 2014 and was selected by the New York Giants for which he still plays. He made 3 Pro Bowl, 2 second-team All-Pro, and NFL Offensive Rookie of the Year in 2014. In 2018, Beckham was offered a contract extension of five years by the New York Giants. The deal sees the wide receiver taking $95 million with a guarantee of $41 million and a total of $65 million as overall guarantees. In potential bonuses, the contract offers him up to $5 million. Over the first three years, Beckham is set to take an average of $20 million. When it comes to his earnings from his numerous deals, Odell Jr. is making as much as $6.5 million annually. He has deals with brands such as Nike which is among the most lucrative Nike has offered anyone in the NFL. And then, there is Kirk Cousins who has one of the most interesting deals in the NFL. Since he was selected by the Washington Redskins in the 2012 NFL draft, Cousins has played for the team, making the Pro Bowl in 2016. He continued playing for the team until he joined the Minnesota Vikings in 2018. With the Vikings, he was offered a 3-year deal worth $84 million. What makes the deal very interesting is that he has the entire value of the contract as fully guaranteed. The deal is the first to offer everything fully-guaranteed in the NFL and it is the highest paying contract in the history of the league. Like all others, he is also pulling in more to his earnings thanks to his endorsement deals with brands such as Nike and Bose.